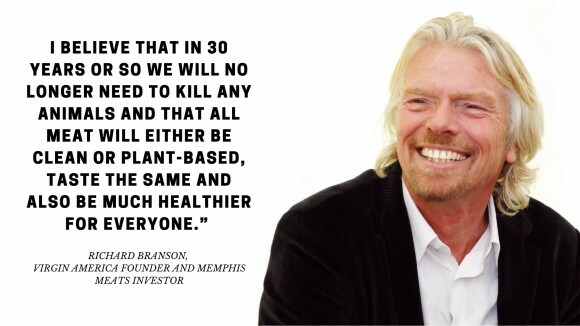 What do Bill Gates, Richard Branson, and Jack & Suzy Welch have in common? These titans of business have joined top venture capital fund DFJ and global food conglomerate Cargill as partial owners of the pioneering clean meat company Memphis Meats. For the first time ever (we love saying that! ), a major VC has invested in clean meat. DFJ, which is known for its investments in groundbreaking companies like Twitter, Tumblr, and Tesla, is the lead investor in the company's Series A funding of $17 million. This news is so good, I'm tempted to stop there. But the story gets even better. Also for the first time, a major meat company has invested in this groundbreaking technology. The massive meat and food conglomerate Cargill has also joined the funding round, representing an ancient industry's first foray into clean meat production. Round that out with Bill Gates, Richard Branson, Jack & Suzy Welch, Kyle Vogt, and Kimbal Musk, and -- well, this may be the beginning of an absolute revolution in how meat is made. Memphis Meats has produced some of the most exciting breakthroughs in the clean meat industry by demonstrating dramatic cost reduction and the development of a multi-species platform (pork, chicken, and duck), and its team has done all of this with just a few million in funding to date. We're incredibly excited to see what the team at Memphis Meats can do with this fresh injection of cash. Future: We are ready for you. 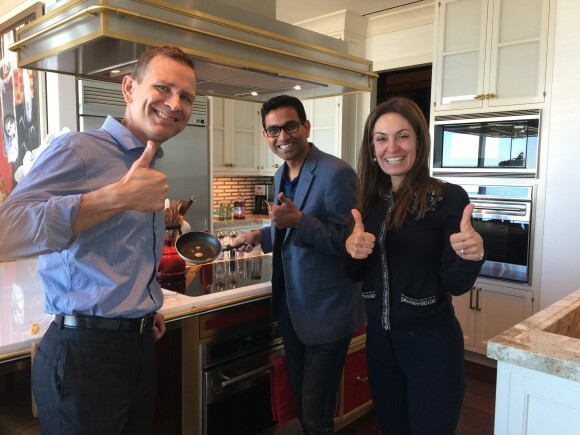 GFI's Bruce Friedrich, Memphis Meats founder Uma Valeti, and Suzy Welch, eating clean meat in the kitchen of Jack & Suzy Welch. Don’t know much about this “clean meat”? Well, you can check out the basics here! Here is Memphis Meats' press release. And here is the Wall Street Journal story. To learn more about GFI’s work supporting companies like Memphis Meats, check out what we do.